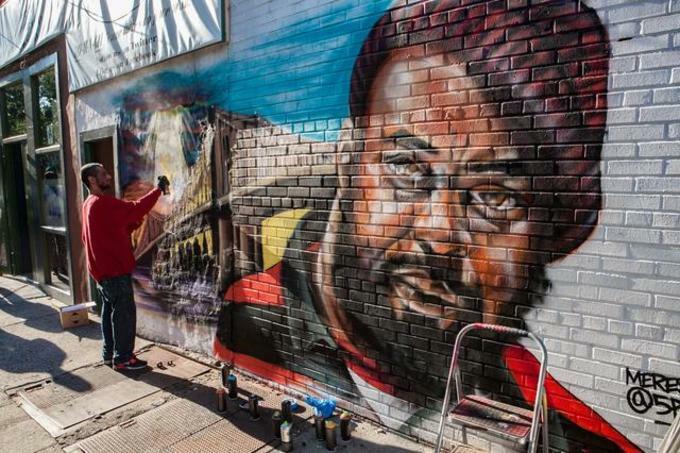 Graffiti artist and former curator of 5 Pointz Meres One has paid tribute to Sean Price, who tragically passed away at the age of 43 over the weekend, Gothamist reports. The artist painted the mural on the wall of famed graffiti landmark 5 Pointz in Price&apos;s hometown of Brooklyn. 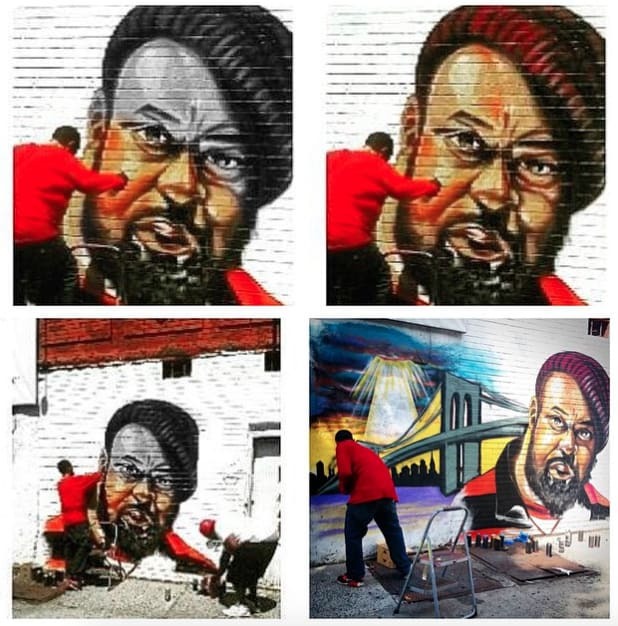 The location is a fitting place to memorialize Price, who would frequent 5 Pointz. 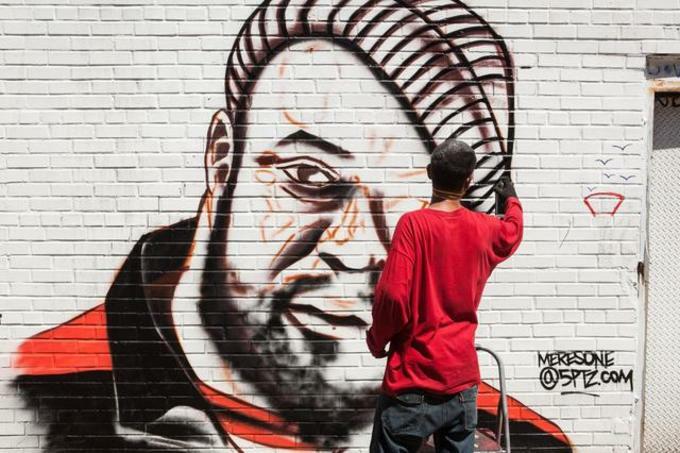 "All of his label would come to 5 Pointz," Meres told Gothamist. "I had this wall for a year and I wanted to do a portrait, I just didn&apos;t know who. It just was a perfect fit, one of the illest out of Brooklyn." Meres references a photo of Price that he had on his laptop and shows him in the foreground of the Brooklyn Bridge, which sits below a vibrant beam of light coming from the clouds. The mural was painted at the corner of Bergen Street and Kingston Avenue and is 20 by 15 feet. Price rose to prominence as a member of the rap group Heltah Skeltah and Meres says his legacy will live on forever in Brooklyn. "I grew up admiring and listening, and the fact that they came to something that I created—I can&apos;t think of anything better," he said. "So to me, this is like payback, especially to him. I&apos;m not going to change it. He has a permanent home here." Duck Down Music has put together a crowdfunding campaign to help Price&apos;s family during this time. Donate here.